I will discuss how to read the candlestick easily and cheerfully learned step by step. 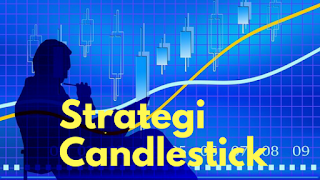 Without waiting for long again Let's learn trading using candlestick. By studying the pattern of candlestick patterns that appears we can analyze whether the movement of the market an asset will be up or down. This is because the emphasis is on the body of the candle candlestick. Therefore in the candlestick pattern, most if it is called a gap then what happens is the body gap. Likewise, the gap is filled in if a body next session fills the gap. However there are some candlestick pattern where the gap here including shadow. 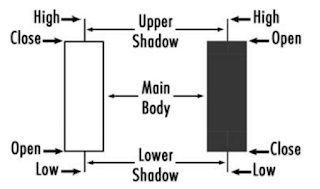 If the referred shadow gap, then the gap can be filled by shadow or body the next session.